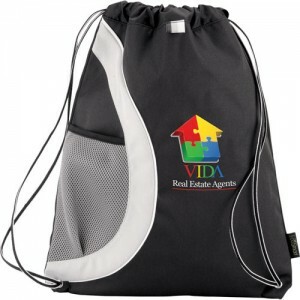 This custom arches recycled PET cinch drawstring bag is one of the most ordered item on this website because marketers are slowly warming up to the idea of green gifting at affordable prices. This drawstring bag is made up of recycled material and it comes with a great main compartment. The front mesh beverage pocket can be used for carrying bottles and is perfect for carrying during traveling or even to offices on informal occasions. 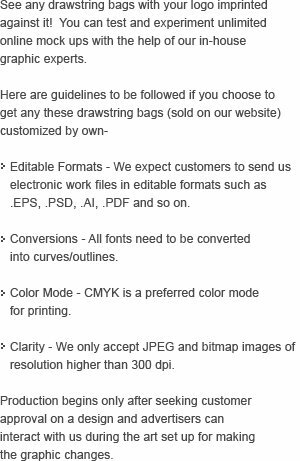 Request a quote to know wholesale price benefits that you can expect for this personalized arches recycled pet cinch drawstring bag. Features – Made from 51% post-consumer recycled material. Main compartment with cinch top. Pen loop. Front mesh beverage pocket. Drawstring design for over-the-shoulder or backpack carry. EcoSmart educational hangtag.